When designing your landscape, the hardscapes are just as important as the plants, trees, and foliage. 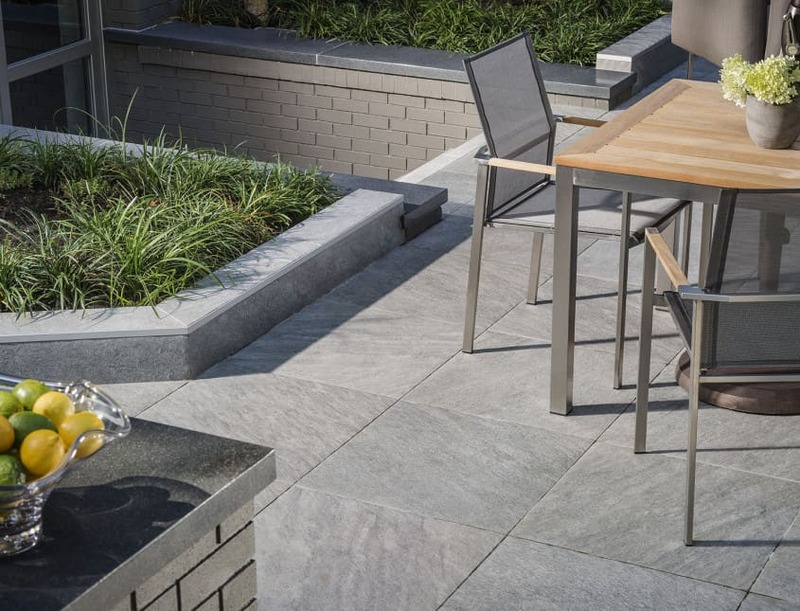 Selecting the right material for your outdoor patio and entertaining space can seem daunting with all the products that are available these days, but it should not be. The experts at Lifescape recommend products such as Belgard pavers and Mirage tile to our customers because of their ability to withstand our Colorado climate, their beautiful aesthetic, and the fact that they do not crack like traditional concrete! With the limitless options of textures, colors and sizes available, there’s sure to be an option to fit your style. Lifescape is excited about the Mirage porcelain tile which works for interior and exterior applications in Colorado. Unlike traditional porcelain tile, this product is ¾” thick and can be dry or wet set. They create a stunning exterior that works well as a walkway, wrapped around your outdoor pool or placed for your patio. Laying down concrete can be a quick, inexpensive initial application, but cracks are inevitable and when you factor maintenance the overall cost is much more. Consider a Belgard paver or Mirage tile system for your next project and you will have a product that lasts for decades, requires little to no maintenance and is gorgeous as well! Talk with the experts at Lifescape and pick the perfect paver or tile system for your landscape by calling 303.831.8310.